Contra is a freeware modification for Command and Conquer Generals: Zero Hour real-time strategy game. It's a big project started in 2004. It adds many new units as well as numerous new upgrades, new general's powers and buildings. It also adds new sounds, maps, bug fixes, enhanced graphics, and other effects, as well as three new generals. A long awaited 009 beta release is here. Download it, test it and help us improve gameplay, balance and fix bugs. !!! CLICK ON "Read more..." TO SEE THE INSTALLATION INSTRUCTIONS !!! Extract Contra009Beta.rar. Copy all contents of the extracted folder to your Zero Hour directory. To play the mod, open "Contra Launcher.exe". You will find startup options such as music, language, unit voices, etc. Decide your preferences and click "Launch". Contra will auto-detach itself from Zero Hour on exit, so that you can launch original Zero Hour or any other mod. I want to emphasize that for these steps you MUST NOT use the Contra Launcher. Many people don't read carefully and fail to install the mod. 1. Put all files from Contra009Beta into your Zero Hour folder (NOT the one in My Documents). 2. 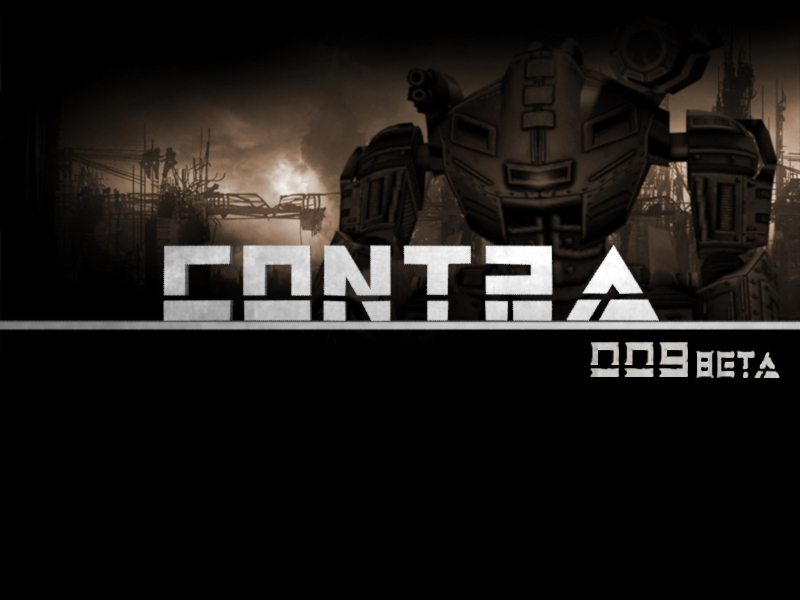 Rename !Contra009Beta.ctr to !Contra009Beta.big. 3. Rename !Contra009BetaEN.ctr to !Contra009BetaEN.big OR rename !Contra009BetaRU.ctr to !Contra009BetaRU.big if you want Russian language. 4. Rename !Contra009BetaVOrig.ctr to !Contra009BetaVOrig.big OR rename !Contra009BetaVLoc.ctr to !Contra009BetaVLoc.big if you want English unit voices. 5. Rename !Contra009BetaMNew.ctr to !Contra009BetaMNew.big OR rename !Contra009BetaMStandard.ctr to !Contra009BetaMStandard.big if you want vanilla soundtracks. 6. Rename Scripts folder to Scripts1 (which is located inside Data folder). 7. Start the game from generals.exe (NOT Contra Launcher.exe)! Zero Hour version 1.04 is required! Contra works in conjunction with mods that come with a launcher such as ShockWave, Rise of the Reds, Cold War Crisis, Vietnam Glory Obscured, Generals: Enhanced and others. This version contains a built-in localization fix for non-English Generals. Those players should no longer have missing content. It is recommended to use Standard unit voices since the Original (native) voices don't work properly. Some units use English voices instead. It was caused by our localization fix. It will be fixed in the next versions. If does not work for you, pls tell us your problem, can you even launch game? Which windows do you use, was it technical difficulties etc...Did you extract it in your clean ZH folder? If you can please, give me an printscreen to see the problem. Few minutes ago I downloaded again archive 009 BETA and extract it in clean Zero Hour folder and Launcher works fine. The Mod works fine but when we "create game" and start the match, the game shuts down and the "technical error" message occurs. What should i do? nvm, was trying to play on the new map but i believe that it isn't ready yet so, game is working beautifully. Hi, I had this "technical difficulties, maybe caused by virus or overheated hardware blah blah blah" stuff sometimes, and could not start a single mod a few days ago. After a clean Windows 7 install, Radeon driver AMD-Catalyst-Omega-14.12-With-DOTNet45-Win7-64bit and directx_Jun2010_redist, I am able to start at least some of the Zero Hour mods now. Even Zero Hour Enhanced Mod works now :) give it a try maybe it works. when i start game i just build power plant then when 2nd dozer start build barracks it looks like i surrender and been defeated ...any fixes plz? Awesome, been waiting a long time for this! It was not tested on Windows 10 but I think that if Zero Hour works, then Contra should too. im running 009 on win 10. no problems. I just run generals exe, contra launcher both as admin with win 7 compat. When playing Fire General against Nuke General the tanks stop moving and the challenge never start. I have error message while playing challenge against Air Force General. Also the same error message appears suddenly during skrimish. don't run on windows 10!!!! Did you run as administrator? You should restart several times untill it works (challenge against nuke general) It will be fixed in next release. Airforce is also fixed now. I'm getting a serious error, that is caused by many things such as viruses blah blah blah, how can i solve this? I wanna try this mod real bad. Hah...there is still a bug with Internet centres, hackers stop stealing money when satellite upgrades are started. And also...Overlord Headquarters... cool thing but upgrades are unavaliable stright after being built at rank 3...not canonical really. Those upgrades are granted at rank 5. It is much better since building nuke silo, and purchase upgrades from there was way too long. In online games very few matches goes to this point where you actually build nuke silo. As for internet centers, we will check it. Anyway super. AI fixes make me high! The only thing is...on the background of new cameos - old ones look rustic. The eye is very useful. And F16 is an artillery unit if they are in circe of an eye, and when they become red they fire from long distance and their rocket damage increased by 30%. The eye help your F16's to clear GLA tunnels if you are surrounded and, so the Eye is not usless. SW general need time to develop. That's some kind of bug. In early game SW does nothing, just build barracks and few infanry and thats it. You should include Cybernetic and Airfoce as your enemy. Of course I'm talking of playing it on Hard difficulty. Same thing. Ive just launched it like previous version. 1. Put all files from Contra009Beta into your Zero Hour folder. 7. Start the game from generals.exe. Make sure you've read the instructions first. Here's a copy/paste. You should try to fix it. Next time we will invite you to improve AI. By the way its not that hard.